If you fancy a discount (or better, winning a VSO license), if you want to be able to watch TV on your PC, turn a video into Black & White and make sure you stay away from internet scams, then check out our Summer Newsletter! We have released a new version of our media player VMP, and all the low down is in our June Newsletter, along with some other cool info and tips! In the May issue of our newsletter, you'll find a "Buy 1, Gget 1 free" deal, a poll about our upcoming ConvertXtoVideo 3, tips to make amazing custom menus and a guide to the latest, not to be missed TV shows! It's official! ConvertXtoDVD 7 is out, along with ConvertXtoHD 3 ! Both software have been updated with an amazing new Menu editor. Now you can create, save and share custom menus for your DVD or Blu-rays! Download the 7 day full and free trial now! Are you ready for ConvertXtoDVD 7? Good news: you can already download the Beta version! Find out more about it, as well as other great news, in our March Newsletter! 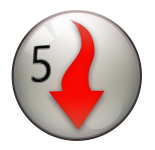 VSO Downloader 5 is officially released!!! This version is faster, more powerful and simply the best to download streaming videos and audio from the internet! Our own FREE media player VMP has been upgraded with lots of new keyboard shortcuts, so it's never been easier to use! Finally a reliable, versatile and free media player for impeccable video and audio playback, get it now! The VSO Team wishes you an exceptionally happy New Year! How about starting it with winning a VSO Goldmembership ? To find out more and get get our latest tips, read our January Newsletter! Read our December Newsletter to find out the coupon code to get 20% off our software, check out our Xmas gift guide, find out more about our new website design, add some great DVD & Blu-ray menu templates to your collection and more! Our November newsletter is out! Check it out if you're a ConvertXtoDVD fan, a VMP fan or simply a VSO fan: there are some good news inside! Trick or read our October newsletter! Inside you'll find a spooky Halloween menu template, news about super fast conversions and adding .gif files as watermarks, tips to learn a new language and how to clip a picture to do a photo montage! Find out what we’ve been up to this summer by reading our September newsletter: news, updates, guides and even a contest to easily win a VSO product! Also, there is a great tutorial to backup the great videos you took this summer with your phone/camcorder. We have released new versions of our ConvertXtoDVD and ConvertXtoHD with various corrections but namely a major feature request added, the function "Smart copy": which will remux (copy without converting) the source video track if it is fully compatible. When applicable this speeds up the conversion time tremendously. To be able to use this feature, the source tracks (video, audio or subtitle) must be fully compatible with selected output format. More info here. You will find this new feature in "Default Settings" "Encoding". Download the new versions here. Let's celebrate summer with a special discount! Find our who won our avatar contest, discover all you can do with a VPN, add a beach template to your menu list, listen to our special playlists, in other words: read our summer newsletter! Are you wondering what we're working on, how to get our programs FOR FREE, how to speed up conversions, etc? Then read our June newsletter! You'll also be able to vote for your favourite VSO avatar! Read our May newsletter to get the latest news, our most popular tutorials and a special movie lover gift guide right on time for Mother's day! If you want to know all about the latest additions to the VSO team, new products and get a discount coupon, read our April Newsletter! We've recently released 3 new major versions! ConvertXtoVideo 2 has a brand new watermark editor, a webcam live recorder, an image quality enhancer and you can now mix videos and pictures together! Blu-ray Converter Ultimate and DVD Converter 4 now convert to 4k, offer an image quality enhancer, a watermark editor, the '"touch screen" compatibility, an improved cut/seek function and more! Download them now! Check here if you're entitled to a free upgrade. A new major release, as well as Cupid, have made their way into our February Newsletter! It's now official! ConvertXtoDVD 6 and ConvertXtoHD 2 are RELEASED! - an image perfection wizard .... and more! Take advantage of the full and free 7 day trial to enjoy these new versions.. and never look back! » ConvertXtoDVD 6: the beta version is here! We couldn't be more excited for the release of ConvertXtoDVD 6, coming very soon! You can already get your hands on the beta version! Discover the new features including the new menu editor, and never look back! Also make sure you show off your beta tester badge that we've made specially for you. Santa came early and brought the December newsletter! It is filled with goodies: a discount, a gift guide, exciting VSO Downloader news, and a special present! » New updates to download! New versions of our video converters have been published: ConvertXtoDVD, ConvertXtoHD, ConvertXtoVideo, DVD Converter and Blu-ray Converter. Download them now to enjoy the updates. ConvertXtoHD users in particular will be happy to see more settings available for hardware encoder and decoders, see example here. The November newsletter has arrived! Check it out for the latest on ConvertXtoDVD 6, help us choose the new DVD menu, share your opinion and discover the best VPN encryption solution to protect your ID on the net! Rarely has a newsletter have such exciting content, especially if you’re a interested in ConvertXtoDVD 6 or becoming a Goldmember-for free! Also if you’re a ConvertXtoDVD 5 user, we have a special treat for you, so read our October newsletter now! To cheer you up on these difficult "back to the office" times, we've included some exciting news in our September Newsletter! + some great tips, as usual! All our software are Windows 10 compatible! Make sure you have the latest version if you're upgrading to 10, if not download it here. Our summer newsletter is a mandatory reading for a stress-free vacation! Read our tips to stay entertained on the road, keep the kids quiet and make your time away very special! Do you want to be the proud owner of a free Goldmember license? Find out how (along with some other great news) in our June newsletter! » New updates available for ConvertXtoVideo, Blu-ray Converter and DVD Converter! New versions of ConvertXtoVideo, DVD Converter and Blu-ray Converter are available! They include support for OpenCL (ATI/AMD) and compatibility with latest NVIDIA updates (among other improvements) for even quicker conversions. Check out our new company video! Become a VSO addict now! Good News! We now support videos with the new H265 codec as intput in all our video conversion programs! If you use ConvertXtoDVD, ConvertXtoVideo, ConvertXtoHD, Blu-ray Converter or DVD Converter, make you sure you have downloaded our latest versions! No news about the royal baby but some great info nonetheless in our May Newsletter! Find out about the new H265 format support, how to clean your PC, how to deal with ISO files, and more! No hidden rabbits or Easter egg hunt in our April newsletter, but great new features info, a discount coupon and a guide to burn your HD videos without a Blu-ray burner or player! Our March Newsletter is out! Discover the new audio normalization feature, and much more. Also, if you want to know where the Star Wars crew is currently filming, read this. » VSO Video Converter becomes ConvertXtoVideo! In a bid to make our product range clearer, we have changed the name of our all-in-one, universal converter VSO Video Converter. It is now called ConvertXtoVideo. Enjoy the brand new 7 day completely free trial to try this new version and you will be amazed by the quality, conversion speeed and ease of use! If you already own a VSO Video Converter license or a Goldmembership, nothing changes: your key is still valid for the new program. If your other half is a movie or TV series fan, then look no further for the perfect gift idea: check out our selection for Valentine's day! Read our newsletter: for once there is no Valentine stuff in our February Issue! There are on the other hands new features unveiled, a survey and more! Don't forget to subrcribe to our newsletter and our blog if you don't want to miss any info! Read our newsletter and find out how we'll help you keep your good resolutions. Also, a discount coupon is hidden inside! Now you can give any of your videos the Blu-ray treatment by converting and burning them to Blu-ray or AVCHD. And of course, there are advanced options (image and video editing + Blu-ray menu creation+ live preview) to make sure you make custom and super fast conversions with exceptional quality! If you still haven't done your Christmas shopping, we're coming to the rescue. We've come up with a great list of gift ideas for the movie and TV show lovers! Enjoy! » A real treat before Xmas! Start the holiday season with free stuff, goodies and a discount! Read our newsletter, special gift issue! » Check our new blog! Get the low-down on new shows and movies, check out fun internet stuff, play trivias to win VSO licences and discover life at VSO with our new Blog! Don't forget to subscribe so you don't miss any of the great posts from our very own super hero Videora! In our latest newsletter, we need you to help us choose a name for our next product. In return, we'll help you become a DVD menu customization expert, and more! Our November issue is available here. Read our October newsletter: it contains all the latest news, a great cloud offer, a video guide on how to cut off video parts, etc! UPDATE your VSO Video Converter, Blu-ray Converter Ultimate and/or DVD Converter! and new features: HD Audio 7.1, custom profile editor with even more advanced settings (H264) and new Iphone 6 format ! » ConvertXtoDVD 5: major update! A new update for ConvertXtoDVD 5 is available! A much-awaited new version with "THE" new burning engine! Only a few days left!! You have until Monday, 8th September to get 20% off any VSO purchase with the code backtoschool. It's time to go back to work, and VSO is helping you through this ordeal with a discount, an ice bucket video, a contest, and more news! Read all about it in our September newsletter! A new update of our streaming downloader, VSO Downloader is available! - an updated interface with a new "deactivate/reactivate detection" feature and access to more options. To celebrate July 4th and summer for the rest of the world (or winter for Australia), we're happy to offer a 20% discount on all our programs! Also we just sent out our monthly newsletter! And... action! Read our June newsletter and learn, amongst other things, how to set VSO Media Player as your default PC video/audio player, get a discount on ConvertXtoDVD upgrades and make some amazing pop-corn! JUST IN! New VSO Downloader 4! Download streaming videos with even more ease and possibilities with our FREEWARE! This new major version supports new protocols and offers a thumbnail view of the video being downloaded for immediate identification. No more time wasted on waiting for download completion to check if you have the right video. Download the free version here. And why not use our VSO Media Player to play your downloaded videos ? A new version has also been released. Our newsletter, May Issue is out! No April fools prank in our Newsletter! Just great news, great ideas and great guides! We hav e just released a new update of our free media player, VMP! It offers a new interface with a clearer playlist view (with thumbnails) and an easier loading (with improved content analyzer) and display of DVD and Blu-ray content. Are you wondering how to catch up with all the oscars movies, get the best blu-ray player, get a free Goldmember license, rotate your videos and more? Then read our Newsletter, March issue, just out! » Get an Anti-malware software for free when buying VSO Video Converter! If you needed an extra reason to buy our new, all-in-on, awesome video converter, there you have it! Buy VSO Video Converter and receive a 1-year licence of Emsisoft Anti-Malware (worth 39.99$/€ ) for free. We have partnered with the Austrian internet & PC security specialist Emsisoft to bring you this incredible deal. Emsisoft Anti-Malware is a complete antivirus solution that provides overall protection against all kinds of threats lurking on the internet. It has been awarded with “Advanced+“, the best award possible in AV-Comparatives’ “Real-World” Protection Test. Whether you root for the Olympics or Valentine Day this February, read our newletter to make the most of both events! Find out how to get a free top-end antivirus licence, how to get ready for Sotchi, how to rescue old tapes and more! Start the year as you mean to go on: by reading our newsletter every month! » Start off 2014 with a discount! May 2014 make all your wishes come true... starting with a 20% discount on all our products: enter the code newyear in our shopping cart. Get 20% off your software purchase today with the code CYBER in our shopping cart! Carving the turkey will have to wait, our newsletter is just out! Read it if you want to get a discount, create videos with HD or Blu-ray structures, get ready for a great Christmas, and more! All our software are compatible with the new Windows 8.1, 32 and 64 bits! Don't forget to update your version if needed. You don't need to be a geek to read our newsletter! » New Blu-ray and DVD Converters 3! We’re happy to announce the official release of the new Blu-ray Converter Ultimate and DVD converter Version 3! Download Blu-ray Converter Ultimate 3 and DVD Converter 3 here. Did you know halloween monters can cast a spell on you if you don't read our newsletter ? Go ahead and find out what's new this month, and also get your say in the choice of our next product! Have you noticed our new website design ? And it's only the beginning! We have more news for you in our September newsletter. Read it and subscribe if you haven't already done so. » Free VSO MKV WebM Converter out! We have our own (almost) royal baby! It isnt' called George, but Free VSO MKV WebM Converter! A great alternative to the VSO Video Converter (released earlier this month) if you only want to convert any video types to the popular WebM and Mkv formats. And yes it's FREE and complete with 100% editing options available! Download our VSO Free MKV WebM Converter now! » New VSO Video Converter! Dear Client, please meet VSO Video Converter. It's our new universal tool to convert your videos into any format. Together you will make beautiful video projects that you will be able to play on any device. VSO Video Converter is totally customizable, full of options and will fulfill all your video conversion and edition needs with ultimate speed and quality. Read our Newsletter, Summer edition for more info and other news. It's all in our Newsletter, June Issue! Get more out of our software by reading our monthly Newsletter: on top of providing useful info, it might also get you richer and wiser ! See how exactly in this month issue. Wanna make your ConvertXtoDVD even cooler than it is ? Read the March Issue of our Newsletter and find out how to customize the sound notifications. And next time you complete a conversion, you'll be notified by Lord Vader, Homer Simpson or your own cat meowing! Discover also the new ConvertX Batch converter, and more news inside! » New VSO Downloader 3! We're so excited to bring you the major new version of our free streaming downloader: VSO Downloader 3!!! It brings more supported protocols and the possibility to add subtitles to your downloaded files, amongst other new features. Warning: reading our Newsletter will make you smarter !! Our very own psychic has promised us and all of you a great and eventful 2013! Start off by reading our January newsletter. This year, make Santa's work easier... find out how in our December Newsletter! » ConvertXtoDVD 5 Official Release! It's official! ConvertXtoDVD 5 is out! We're very happy to share with you this new version, that brings video conversion to a new level. ConvertxtoDVD 5 beta is out and available to everybody! Read about it and more in our November issue of the Newsletter. The new Windows 8 is out today ! We're happy to announce that all our programs are compatible and certified for Windows 8. Info and news are falling like autumn leaves, and they all landed in the VSO Newsletter, October Issue! Read about ConvertXtoDVD 5 vs version 4, how never to miss any of your fav series, etc in the newsletter here . We are happy to announce the official release of the new major version 2 of our Blu-ray Converter and DVD Converter Ultimate programs. Download the new versions here. More news in our September Newsletter! If you want to get all the low-down on our latest info, read the newsletter! Also we wish a happy 4th of July to all our US fans! June is here! Along with the humming bees and the sunshine, the VSO Newsletter is out! If you don't receive it on your inbox every month, register here. It's free and contains useful info and guides. Get your monthly dose of VSO news! Prescribed by the best IT doctors! » New CopyTo 5 OUT! It's now official, the new CopyToDVD 5, our complete burning suite, is released today. This version follows up CopyToDVD 4 and has a new name, has new options and a new design. Right on time with our current discount (see news below)! Better than chocolate: the VSO Easter coupon! No it's not Christmas ! It's the VSO newsletter, April issue! In this new issue, we unveil a feature of the forthcoming ConvertX 5 and other info! Read it now! Yes, at VSO we have a soft spot too! Check out our Feburuary Newsletter : it is filled with tech info and also ideas for a unique Valentine's day! Repeat after me: "In 2012, I will read the monthly VSO newsletter and not miss out on any news or tips about my favourite programs"
One New Year resolution that you won't break: Subscribe to our Newsletter! Wishing you a healthy, safe and Happy New Year! How about a good discount to end the year in style ? Xmas is coming early at VSO! We are releasing DVD To DVD, to make 1:1 copies of your DVDs. For those of you who need a simple program to carry out one task: duplicate your DVDs, nice, quick and easy! Update your DVD Converter Ultimate & Blu-ray Converter Ultimate, Blu-ray to AVI, Blu-ray to DVD, Blu-ray to PS3, Blu-ray to MKV: new version 1.4.0.8 is out! This version has new themes, new custom profiles, forced subtitles supported, better MKV subtitle support, full screen preview, translations updated and other issues corrected! » Cyber Monday Special Offer! Today Only! Huge Cyber Monday discount: 40% on all our software! Our latest newsletter is out! Read it to catch up on the latest news, deals, and tips. This month you get to know one of VSO developer and check out great reviews of our great products ! Better than a bag of sweets: get 20% off any VSO product for Halloween! Enter the code WICK-90AS-WEEN in the shopping cart. (offer valid until Nov, 1st). Remember to take a picture of your funniest/cutest Halloween costume and send it to us, our 5 favourites will get a free licence update. And finally: we've changed the logo and interface of VSO Downloader, download your new version now! (it's still FREE). We have just released two important updates for Blu-ray Converter Ultimate (including all sub-versions: DVD, AVI, MKV, PS3) and DVD Converter Ultimate. Check out the new interface with a single window for video and settings selection. We did it AGAIN! We are releasing a new app: VSO Media Player. Ditch your current media player and install VMP now! Remember to subscribe here to make sure you don't miss out on any info, freebie, or discount! What ? Two new product releases in two weeks ???? Yes ! DVD Converter is out: it converts (and burns) your DVDs to any format: Avi, Mkv, Ipad/Ipod/Iphone, Ps3, Xbox AND DVD! Though it's very easy to use, we have a Tutorial to guide you though the software's features. The Press Release is available for all those who want to know the low-down. » New product release: VSO Downloader! Exciting news!!! We've been working all summer to offer your this smart new app: VSO Downloader. It downloads streaming video and audio files, with automatic detection, integrated ad blocker and super fast processing. Soon on EVERY desktop ! oh, and, yes it's FREE ! » Special offer: buy PhotoDVD, get CopytoDVD free! Don't miss out on this special deal! For a limited time only, if you buy PhotoDVD, you get CopytoDVD free! Click here to benefit from this package. » Fancy winning a Goldmember licence ? Simply click on "like" on our facebook account, and help us reach 1000 fans! One new fan will be picked randomly and win a Goldmember licence! A special free giveaway of a VSO product is happening now on Tipradar.com!!! This offer will end in 48 hours. 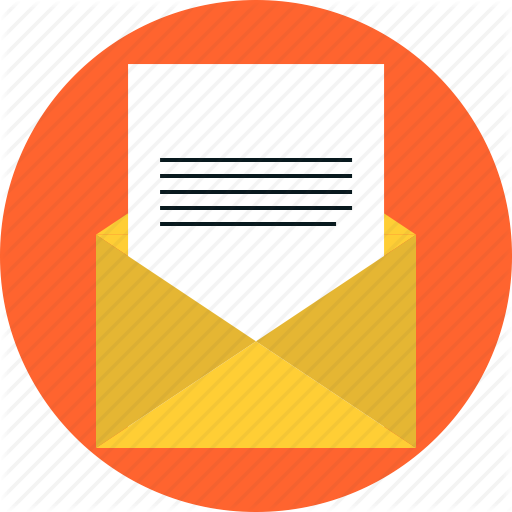 Don't forget that you can subscribe to the newsletter to receive it automatically each month by email. We have just sent out our second newsletter by email to all our registered clients. Don't forget to subscribe to receive it directly. » Sneak peak: VSO takes on Downloading! As of today users can check out one of our new coming products: VSO Downloader. The current version is a building block for what is later to come, but as this current version has already proved itself to be an extra fast downloading tool in its current state, we have decided to make it available to the public. We are still far from what the final version will be of VSO Downloader. *Contact us to be part of the beta testing team and get special internal versions. VSO now offers a new payment option for US customers who want to pay their purchase with cash: PayNearMe. With PayNearMe, you can purchase our software online and pay "offline" with cash at your nearest 7-eleven store! This new payment option is available in our shopping cart. » First VSO Newsletter and Easter coupon! We have sent our first Newsletter today! 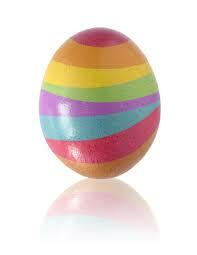 Filled with news, tips and... a discount coupon for Easter ! Read it and find out the coupon code to get 20% off your purchase! If you wish to subscribe to receive the next newsletters automatically, please do so here. The Newsletter will be sent monthly. » Blu-ray Converter Ultimate Officially released! Today is the official release of Blu-ray Converter Ultimate! Convert your Blu-ray videos to DVD, Avi, Mkv, PS3, Xbox and Ipad/Iphone/Ipod in just a few clicks! A full guide is available to get to know all the program's settings. New features include widescreen menus, auto adjustment of menu items, thriller menu template enhanced with transitions, and other user issues corrected. Any questions or feedback, visit the forum or support section. Check out the guide and the Youtube video to take a quick look at the options offered. » Huge offer: 50% off all our products! Everybody else will play pranks on you all day… but we’re not! A new release of ConvertXtoDVD is available. Read the change history for more details. The much awaited Blu-ray to Avi is now ready! VSO Blu-ray Conversion software products now gain in speed and performance when used with a Nvidia Cuda graphic card. Read the Press Release for more info! A nice new interface, easier to navigate... Check out our new forum! The VSO Blu-ray converter family is now counting a new member: Blu-ray to PS3, a program to convert Blu-ray videos to Playstation 3 format! Read the complete product description and try it now in the Download section! Press Release also available here. » A new version of Blu-ray To DVD: start 2011 on a high note. The VSO Team would like to wish you all the best for 2011. May this new year bring you everything you wish for! And in case you asked for a new version of Blu-ray To DVD, here it is: V 1.1.0.0, ready to Download. New menu templates, user interface improved, better Avchd and blu-ray iso file support. » Holiday coupon: 20% off all VSO products! A white Xmas and 20% off all VSO Products: what else could you wish for ?? The VSO Team wishes you a happy holiday! AnyDVD will soon discontinue their lifetime license. AnyDVD is an excellent software - it is used for removing the protection from DVDs and Blu-ray disks. On top of taking up your last chance to buy a lifetime license, Slysoft is currently offering 20% off. This offer (both coupon and lifetime license!) will no longer be available after Dec 31st 2010. » ConvertXtoDVD 4.1.9.347 available now! Affected by the bad weather? Stay home and use ConvertXtoDVD to convert/burn your movies for the holidays! » Offer a VSO product for Xmas! You're late with your Xmas shopping or running out of ideas ? Look no further: offer one of our software to your friends and family! Lookout for the gift option in our shopping cart! » Official Release of Blu-ray To DVD Converter! VSO is proud to count a new addition to its video software family: Blu-ray To DVD, a program to convert and burn decrypted Blu-ray videos to DVD. Complete with all necessary settings, the software also includes a file detector to make quick and customized conversions. Like all other VSO programs, it is easy to use thanks to a wizard-style interface. Check out the Blu-ray To DVD product page for more info and the guide for a complete product walkthrough. » New updates of ConvertXtoDVD and VSO Image Resizer ! Updates of ConvertXtoDVD and VSO Image Resizer are available to Download. - ConvertXtoDVD V. 4.1.7.343 corrects some audio/video sync issues, adds a better support for dvr-ms files with an improved burning engine. Read the history to check out the complete list of changes. - VSO Image Resizer V 4.0.2.5 adds new improvements. » New version of ConvertXtoDVD and other info . . .
A new version of ConvertXtoDVD is available, version 4.1.4.338 correcting various minor problems. Other info: Ever needed a tool for ripping a Blu-ray to DVD? » Halloween 20% off coupon discount! Get 20% off any VSO product by using the coupon code VSO-PDC1-BOO until November 2nd 2010. » A new version of PhotoDVD! A new version of PhotoDVD has been released, version 4.0.0.37. One of the highlights of this version is the ability to synchronize photos and music together. To find out how to do this check out the guide. Click here to get more information or download now! The biggest download button contest is now over. Thank you to those who participated. We are happy to announce the winner is "monkeyboy". Check out the button he submitted in the VSO Forums that allowed him to win a copy of ConvertXtoDVD. » The biggest download button contest! There are big download buttons out there, and some are so big and colorful its surprising! Participate in our contest: find the biggest software download button on the web! - The winner receives a VSO Software product of his or her choice or free upgrade for the product they already own! For more information read the contest rules and submission process. Click here to see the download button submissions on the VSO forum. A new version of Image Resizer is available now with a lot of interface fixes and improvements. Among other things the preview window has been enhanced with zoom and panning functions, to let you compare even tiny details of your original and resized images. A new version of ConvertXtoDVD is available, version 4.1.1.334. » New free AVCHD Editor! We are pleased to make available a free AVCHD Editor. A new version of VSO Image Resizer is available, version 4.0.0.42, with updated translations and correcting a bug preventing the application to launch correctly on some specific configurations. » Major release of PhotoDVD 4 and VSO Image Resizer 4! It's a special day here at VSO: we celebrate the double release of two major new versions! The much-awaited PhotoDVD 4 has been totally revamped and boasts new amazing transitions, direct export to Youtube option, and a live preview where instant modifications are possible. Check out the photo slideshow page for more info and read the PhotoDVD press release. VSO Image Resizer 4 is also officially released today. Among the new features: an improved stand-alone usage, easy file and folder selection with drag and drop or shell extension access, a live preview, export to email function, compress to ZIP, etc. The complete details are listed in the image resizer page and the Image Resizer press release. Run to our Download section to get your new updates now! If have a license less than 1 year old for one of these products get your free upgrade key. Also out today is a new version of VSO Image Resizer. Those of you who had a problem with the watermark will be happy to know that the issue has been fixed, along with a few others, please read the history HERE. A new version of VSO Inspector, our free tool to report various information about your hardware configuration, is available. Download this useful freeware HERE. In this version 2.1.0.1, more details have been provided and minor bugs have been corrected. For details, please check the version history. A new update of our image resizing software is out! Download Image Resizer. This version 3.0.1.76 fixes a few minor bugs. Browse the history section for more info. CopytoDVD 4.3.1.10 fixes the issue of Windows explorer crashing when the shell integration is called, while VSO Image Resizer 3.0.1.72 no longer has the problem of pictures half in black. Wishing you the very best for the New Year! It's Christmas, why not treat yourself (or a friend) with a licence for one of our products at 20% off? Note: this offer is not valid with Paypal payments and will expire on Dec 31st. » ConvertXtoDVD, CopytoDVD and Blindwrite : new updates! » New ConvertXtoDVD 4 !! Two major versions released on the same day, this calls for champagne! Comment new ConvertXtoDVD 4 in our forum. A Press Release is also at your disposal. Existing clients can check for a free upgrade key offer. » Halloween special: 20 % off all VSO products ! Drop the candies and run to our shop to get 20 % off all our products, using the code VSO-ISE7 (not valid with Paypal). Offer valid until 5th Nov. This version contains various updates, fixes. This version contains latest burning SDK, and updated code for chapter management. We have announced it weeks ago, but we want to confirm to all users which write us about it ..
CopyToDVD and Blindwrite have been updated and available as new version from our download section. this new program is for enthoutiastics photographers, and it is implementing a seam carving resize, also known as liquid resize or target aware or retarget. this method allows first to resize full pictures to a new resolution without stretching or removing part of the image but by analysing the content of the image. The second advantage of that product is to allow very easily and without any knownledge in photoshop to remove an object or a person from a photo. a new update of VSO PhotoDVD our popular DVD slideshow is available in the download section. We have created a Twitter account a few days ago, after it has been suggested by a few users. Twitter is a popular social networking website, used by more and more companies to spread out some information and confidential progress on their product line. This new version contains minor fixes, update translations and include a new set of documentations for popular languages. After 1 year without any update, We are pleased to annonce the new PhotoDVD 3 is available for download. Among the new improvements :better support for H264, Hi Definition files from digital cameras and TS files, ability to burn ISO files, optimizations for multicore. As it has been discussed in our forum, we have finally released the new ConvertXtoDVD, all users of current v3 can update to this version for free. That's a good place to discuss about the products and new features which will be implemented in the future, and a unique occasion to share your opinion on software. Changes and improvements are listed in the CopytoDVD history. No Easter egg hunt necessary to get 20 % off your purchase at VSO, simply enter the coupon code VSO-ULHK in the order form! Offer not valid with Paypal orders, for more info on coupon codes, please check our forum. No less than 3 VSO programs have been updated lately. ConvertXtoDVD 3.5.2, CopytoDVD 4.2.2.18 and Blindwrite 6.2.0.6 can be downloaded here! » VSO goes MAC ! Yes, all VSO products are now compatible with Mac OS. » ConvertXtoDVD 3.5.0 out ! Download it now ! Version 3.5.0 corrects some bugs (green menus and vertical lines have now been fixed) and improves the support of .mkv files. A new version of the web-album making application PhotoOnWeb has been released. You can download it on our www.photoonweb.com website. » New updated version of ConvertXtoDVD! The new release of ConvertXtoDVD now improves the merge titleset dialog (now several files can be added at once), and adds 2 variations of the black mirror template. Download Image Resizer 2.1.7.4 and CopyToDVD 4.2.2.10 here. Image Resizer is now multicore optimized and CopyToDVD offers a better management of burning on Blu-ray discs. Important updates of ConvertXtoDVD, CopytoDVD and Blindwrite have just been released.Download them now! » Best Wishes for 2009 ! Everybody at VSO Software would like to wish you a great and happy new year ! » New ConvertXtoDVD out ! Enjoying the nice menus of ConvertXtoDVD? Want more DVD menu templates? Just before Christmas we have released a new template for this holiday season! Download free christmas template and other menu templates that you can use with ConvertXtoDVD! » Christmas has arrived at VSO! No matter if you've been good or not this year, get 20 % off your purchase this Xmas! Buy now and enter the coupon code XMAS2008 to get advantage of this great discount. Our 2nd server is up again, and the forums are working normally. We have released a new version of ConvertXtoDVD 3.3 which is a stable version which fix a listing issue in some case where several DVD burners are used in the computer. We have a server down, it is the server managing a part of our download and also the forum. We are working on it to restore the situation as soon as possible. please don't email or contact us to tell us about this problem, it will be fixed as soon as possible. We don't know yet how long the operation could take. Version 2.1.2 ( previous 2.1.1 ) includes a new process to extract large Jpeg for RAW (.NEF) from thumbnails and supports the latest Canon EOS SDK 2.5 with new dll distribution. People which would like to check the latest features and correction of ConvertXtoDVD are welcome to participate in our public beta. It's Halloween time and we have a spooky discount for you ! » New Image Resizer out ! » Help me win my bet and make VSO Software even more popular !! Please help me win my bet and post your comments on VSO Software on this article or just digg it! The list of changes is very long, please see the differences between the last public version 3.1.3.40 and the new version. new features have been added in the audio engine to control the output format. You can discuss about the new functions in our convertxtodvd forum. As usual, the update is free for people which own a valid license for the version 3. We are happy to announce the new version of PhotoOnWeb is now compatible with Cooliris (formerly known as PicLens). Your pictures get whole new effect with this new technology, you can nagivate them so easily you feel like you are flying in space! PhotoOnWeb is freeware to publish your photo albums on line. Cooliris (formerly known as PicLens) is a free FireFox or Internet Explorer Add-on that allow you to see picture on line in 3D!!! with fast and sensational navigation!!! VSO Image Resizer 2.0.1.9 fixes some problems when settings were saving and includes the latest DCRAWlib version available to add the support of .ARW raw files from Sony digital camera. You can download new free DVD menu templates for ConvertXtoDVD from the VSO forums. » Special Summer Discount 20% off! The history file for each program has been updated with a description of the last changes. A new version of PhotoDVD is available, it fixes a serious issue with audio part of the product with some computers. A few days ago, ConvertXtoDVD and PhotoDVD have been updated. ConvertXtoDVD 3.0.1.24 fixes some crash issues with some computers (due to compilation tools). PhotoDVD 2.9.1.5 fix the same problem of DLL crashes and a slideshow loop problem. ConvertXtoDVD 3.1.0.18 which make official all the intermediate version available on our forum. and new features have been implemented in the Photo player preview module, according the requests of some users. VSO Image Resizer 2.0.1 is now using also the new image SDK from intel and the main difference is a real boost in the performance with multi-core CPU support and speed is around 2x faster than the old version 1. A few days ago, we have reorganized some parts of our forum and included a new search engine powered by Google. Forum is a good place to learn and ask your daily questions about our products, but be aware it is also a nice place to participate to the future versions, suggesting how you would like to see things working in the software. Actually newest version of ConvertXtoDVD ( 3.0.0.13 ) are available for download including suggestions made by users. As mentioned in the previous news, we are happy to announce a new version of BlindWrite 6.0.8 for immediate download. Among the new features, this version has complete support for Blu-ray copy, please check our forum to get help about BlindWrite Blu-ray support. History file file is update with the list of the changes, including Unicode support of the application and several minor bugs. New VSO burning SDK 2.1.8 add support to burn Blu-ray video. Answer: Anyone can be an affiliate and you do not even need to have a website either! All you need is an affiliate ID number with the custom links found which you can get by signing up on VSO affiliate program. Post comments using these links on blogs, forums, news websites and get commission on sales completed. Contact us if you have any questions. » New ConvertXtoDVD + discount on all products! To celebrate Spring VSO is offering a 20% discount coupon that can be used for all products. Type in "spring08" when ordering with Avangate or PayPal. Also a new version of ConvertXtoDVD is available, version 3.0.0.7: Download ConvertXtoDVD. » New VSO web site look ! We are released a complete new look version of our web site. We hope it will be easier to read and will allow better communication. » ConvertXtoDVD 3 FINAL !!!! Here we go, after 2 months of testing with all the valuable members of our forum. ConvertXtoDVD 3 is available in our download section. Among the new feature, a complete new engine with more video formats supported, the software is optimized for dual and quad core CPU, vista compatible, new DVD menu features, and a lot of other changes so try it ! In our vso forum section, you can find the latest Release candidate version of ConvertXtoDVD 3. If you buy a key today, you can use both version 2 and 3 as the upgrade is free for any customer with a license bought less than 1 year ago. It is an exceptionnal event today, our dear boss (also the main developer of ConvertXtoDVD) has turned 40 years today. SO we have decided to do a very special discount of 40% (even on the Goldmembership which is the package of all our software with unlimited lifetime upgrades) ONLY today. A new version of PhotoDVD is available in our download section. Change log is available in the product description. Things are progressing with ConvertXtoDVD 3, and if you want the latest news for the availability of the ConvertXtoDVD 3 Release Candidate 1, we suggest to visit our forum. VSO is happy to wish everybody an happy new year 2008, with plenty of new software coming. First of all, merry xmas to everyone, and we hope all the best for this holidays period. A new version of PhotoDVD 2.6.2 is out, it fixes a problem with some .wma music file. For people impatient to know what is the status of ConvertXtoDVD 3, we suggest to visit our forum, where we have created a new section for this version. Some details are available to get an advanced beta version distributed to the press, translation people and existing customers. Christmas is coming, If you are late for your gift, we are glad to announce we have reactivated the gift option in the order process. This feature is available with Avangate payment service only. You can define the email of the person who will receive the program, you pay for him and he will receive the program of your choice by email. No delivery delay problem. And the last good news, the discount coupon is also compatible with this offer. We are moving to a new office (Monday 17th of December and Tuesday of 18th December). The fax and phone numbers and adress have changed. The sales and technical support will be up during this time, but you may experience a short delay in the replies. Surface of the new office will be extended by 4 in the near future, allowing us to welcome new employees and partners and speed up development of the company, it is an important milestone for VSO Software. We are pleased to announce the release of new versions for PhotoOnWeb, PhotoDVD and VSO Image Resizer. Image Resizer has been updated. The new version solves an important issue, so please download the update. Good news for our PhotoOnWeb users: maintenance is over and a new faster, improved server has been set up. If you haven’t already done so, go and create your online photo album now. Several software have now been updated. Adding the new Canon Digital Camera Eos 40D RAW format. - Code optimization 20% faster for the same quality !!! - Add version tag on photo albums. Amongst other improvements, a major DirectX issue has been fixed. - Fix an issue loading the RAW files with half-resolution, loosing quality in the output result. Take the photos, VSO will do the rest, new photo tools software are under development, and you can join our beta testers team by contacting us thru our support form. PhotoDVD has been updated, you can check the change log and download it to upgrade your version. » No summer break for VSO ! Today you can download an updated version of PhotoDVD to create a slideshow from your holidays pictures, but if you want to publish photos on the web, you can try our new software www.photoonweb.com which is still in beta. VSO Inspector has been updated with a better support of Blu-ray and HD-DVD drives. It's summer time, and we are happy to offer a special 20% discount if you type the code "summer07" during the order process (only available with Avangate payment system). New versions of PhotoDVD 2.3.12 and Image Resizer 1.1.16 are out! Both version contain updated support for RAW files and Canon EOS Mark III format. » ConvertXtoDVD and Image Resizer updated ! New versions of ConvertXtoDVD (2.2.3) and Image Resizer (1.1.15) are out ! » New ConvertXtoDVD 2.2.2 ! A new version of ConvertXtoDVD is now out ! Amongst other improvements, it now fixes audio synchronization issues, handles damaged Avi files and offers a better quality of the preview. PhotoDVD 2.3.9.2 is available in the download section. The change log is updated too. ConvertXtoDVD 2.2.1 is available in the download section. A new option has been introduced in version 2.2.0 for people converting home movies from Camcorder sources (DV interlaced). As this option slows down the conversion, don't forget to turn it off option for video files not coming from such sources to save time. A new version of VSO Image Resizer is available as well, with better EXIF management. CopyToDVD 4.0.4 is available in the download section. More updates for the other products will follow in the next days. ConvertXtoDVD 2.2.0.251 is available in the download section. This new feature is 20% faster thanks to a new image resampler which provides both better quality and conversion speed. A new option has been introduced for people converting home movies from Camcorder source (DV interlaced). A new version of ConvertXtoDVD is available in our download section. A new version of Blindwrite is available for download, the history file is updated. » VSO celebrates its 5th anniversary! It's VSO's birthday this week: we've been developing burning software for CD, DVD and now Blu-ray for 5 years! To thank you for your trust, we've set up an exceptional discount valid up to the 8th of May: 50% off on all our software, even the goldmembership, with the coupon code " VSO5Y ". ConvertXtoDVD 2.1.17 is available for download, the list of changes is pretty long, please check it. ConvertXtoDVD adds the Blu-ray format, you will need Slysoft AnyDVD HD to read the content of the disc. This version contains improved Vista support and adds new video file formats. PhotoDVD is a DVD slideshow maker software, and VSO Image Resizer a handy tool to resize or convert pictures as a batch. New versions are available in the download section. We have completed the upgrade of several new servers in order to handle more customers and more traffic. We apologize if you have experienced any connection issues in the past days. We remind you that 48 hours is really a maximum delay in license delivery. Most of the time the license is delivered in less than 30 minutes (bank checking). You can use the support form if you need assistance with your order. » 3 new versions or nothing! As you already know our products are all ready for Vista, today you can find new versions of ConvertXtoDVD, PhotoDVD and CopyToDVD in the download section. VSO Image Resizer 1.0.11 is available in the download section. This version is compatible with Windows Vista. List of changes is available in the history section. Bitburners has introduced an interesting new media database, at the opposite of the VSO media databases based on large volume of reports, BitBurners includes full quality scan and human review. ConvertXtoDVD 2.1.10 is now available in the download section. This version has an integrated sound compressor that automatically adjusts the sound level. » Happy New Year 2007! The VSO team wishes the best to all their valuable customers, beta testers, partners, providers, affiliates for the new year 2007. We had a great year, plenty of new interesting projects were started and we will have a lot of news in 2007. » Last-minute Xmas gift: offer a VSO product! According the current poll you are more than 81% to think a software is a valuable gift. We are pleased to announce you can offer a VSO product as a gift. In the shop section, first select the product to offer, during the order process, select "as a gift" and put a custom message to your recipient. They will receive an email with the download link and the unlock key. You can order a backup CD, but in any case, the product can be downloaded and immediatly used. New version of CopyToDVD and PhotoDVD are available in the download section. See the change history for CopyToDVD and PhotoDVD. Both products contain the latest version of the drivers signed for Windows Vista. Notice our Xmas Coupon can be found in the left column under 'Special Offer'; use it and get 20% off your purchase immediately . New version of ConvertXtoDVD and Blindwrite are available in the download section, please look at the change log history for details. A special christmas coupon has been created "xmas2006" will give you an instant rebate of 20%, please check the code is applied before you validate the order. As some may have already noticed in their browsers, these news are now also available as RSS feed. » New Image Resizer and VSO Inspector releases! Both freeware applications have been updated and can be downloaded here. Image Resizer support of the RAW format has been improved. It now fixes several formats (such as Adobe DNG ), keep EXIF and displays a dialog before overwriting original files. » Halloween contest gallery now online! This gallery is one of the new tools we are currently developing at VSO... codename: PhotoOnWeb... Stay tuned for more details! Put 'halloween06' in the coupon area and get instant 20% off on any product ordered using ShareIt until 6th of November. You can still send in your halloween pictures for the contest (see news below). The deadline to send in photos is November 5th. A new version of ConvertXtoDVD 2.1.5 is available. Check out the change log here. - compliant with Vista, requires reentering your key. VSO 2006 Halloween contest. We would like to introduce upcoming web gallery tools, for that we are happy to organize a fun contest for halloween. 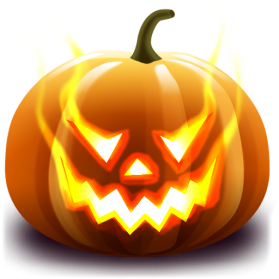 Send to halloween@vso-software.fr your best shoot of halloween, best picture,the scariest, the funniest. By sending us the picture, you agree that we will publish the best shoots on a web gallery and that you are the author of the picture and there are no copyright. Each participant will receive a discount coupon for a vso product of 20%, of course an already registered user can participate to have their picture published. A new version of ConvertXtoDVD (v2.1.4) is available for download. This version now supports the Flash file format (.FLV), has better support for MKVs, and provides other bug fixes. For a more complete list of the changes made please check the version history. PLEASE NOTE: When upgrading to this version you will need to re-enter you license key, and re-set your preferred settings. We apologize for this inconvenience but it was necessary in order to support the newest Windows Vista. We would also like to announce that the release of a stronger and completely re-looked CopyToDVD 4 is coming VERY soon! - improved transparency support for watermark feature. » VSO Software is releasing New update of burner and media database results! VSO Software is releasing a new analysis of its drive and media database results. This update is based on the statistics collected by all the VSO applications containing a burning engine and offers crucial information on the most popular and efficient drive and media. Read the report and you'll find out which brand is the most promising, which media/drive to use for an optimal burn and discover who was awarded with best hardware and best media manufacturer by VSO Software! See history of changes for details. CopyToDVD 4 Beta is available on request for press and webmasters. Buy a goldmembership license and receive a free USB Key (256 Mb) ! From the 1st August 2006 the first 100 people purchasing a Goldmembership license and entering the code "GOLDUSB" will receive a free VSO limited edition USB key ! The Goldmembership is a lifetime license for all current (ConvertXtoDVD, CopytoDVD, PhotoDVD, Blindwrite, Image Resizer and VSO Inspector ) and future products by VSO-Software (for only $148 when you enter in the coupon code). This key will contain all the above-mentioned programs and will be sent out once the payment has been confirmed. Delivery of the key may take 1-2 weeks. Delays may vary depending on the client's country of residence. You will still receive your keys in a separate email right after your order and payment have been confirmed, so you don't have to wait for your USB key to start enjoying our programs. A new ConvertXtoDVD is available. You can see the list of changes in version 2.0.15 here. New versions of VSO Image Resizer and PhotoDVD are available and now offer the direct support of RAW formats. Raw format is the best quality format you can obtain with DSLR Digital Camera (such as Canon 350D, 30D, Nikon D70s, etc.). Both VSO Image Resizer and PhotoDVD contain new features. You can find a new version of VSO Image Resizer, with some interface enhancements (remaining time) and also a beta support for RAW camera files (Canon .CR2, Nikon .NEF and some others). A beta version of BlindWrite 6 is available for evaluation. Every new order comes with a key for version 6. » New version available ! A new update of ConvertXtoDVD is now available ! ConvertXtoDVD 2.0.13 offers better subtitle management. ConvertXtoDVD 2.0.12c contains an update for the burning engine. PhotoDVD contains several update for the real time preview mode. BlindWrite 6.0 Beta should be available in the next couple of weeks. VSO Software is happy to announce a new freeware: VSO Image Resizer, a tool to resize and convert images between different formats. Directly integrated in the Windows Explorer, you can import, organize and shrink a batch of photos in 1 click. Full details can be found on press release. A new version of PhotoDVD, VSO's DVD slideshow is available for download. VSO Inspector 1.1.2.55 is compatible with the CopyToDVD 4 alpha version. If you see this message, it means you are using our new hosting provider and a new server. The bandwidth has been multiplied by 3 to prepare the introduction of the new products and new release. The customers and stats database is working again. We apologize for the inconvenience. Our main server is experiencing problems with the database. At this time, we are awaiting an action from our hosting provider. If you have requested a lost key, if you didn't receive your key ordered in the last hours, we kindly ask you to be patient and check back for news here. » VSO web site is not down! Our hosting provider is experiencing technical problems with our web server, we apologize for that, and are working on backup solutions. A new version of Blindwrite is available, it is mainly a maintenance release. VSO Inspector can scan your media for errors, but also retrieve your system information about CD / DVD Writers used and media details. You can now download the new version of ConvertXtoDVD which is a cumulative update. We consider it an important update because it contains a number of changes that were made in internal versions (2.0.6, 2.0.7, and .2.0.8). Feel free to read the version history to learn about the changes made. First, you can notice a new look for the web site, please use the poll to give us some feedbacks. ConvertXtoDVD 2.0.5 is available in the download section. And finally PhotoDVD 2.1 is out, using a new engine with an output quality improved. New versions are available in the download section (see history for changes). The version update for ConvertXtoDVD is available in the download section. Be sure you have the version 2.0.1.101 ! it fixes problems for users using a screensaver during the conversion and a couple of minor bugs. A coupon is available for a short time for the new customers ( X2D-INTRO ). Existing DivxToDVD users can use their unlock key. VSO Software is happy to wish you a happy new year for 2006. For us 2005 was so exciting with the introduction of new products and versions such as DivxToDVD. Expect to see new features and products from VSO Software for this wonderful new year of 2006. Thanks again for your support. To start the new year, a new coupon "new2006" is available for a limited time. The whole team of VSO-Software wishes everybody a merry Christmas and happy holidays. You can use the special "xmas2005" coupon for an exceptionnal 50% discount on our product. The situation in regard of DADVSI has now evolved from fear to hope. During the night between 20th and 21st of December, deputies have passed a bill for a "global license". This bill legalises all peer-to-peer exchange throughout internet providing a reasonable montly fee. "I have children today aged 14 and 16 for which internet constitutes culture and liberty. They probably download and I am completely unable to control them as I don't understand computer technology as they do. With the current laws, they might be considered as delinquents. Only the global license avoids the risk. For a few euros each month they can have the freedom to download without causing harm to author's rights, as the funds raised will be mutualised and redistributed to the authors. As it's time now to decide the liberties for the 21st century, let's inspire from Tocqueville for which civil society always prevails. In today's society, for the youth Internet is a space of freedom. Do not restrain their access." The voting of the bill has been postponed to the next deputy's session (January 17th, 2006). We dreamed the repressive approach to be abandonned in profit of a complete legalisation, and now it's turned into hope. This is a great expectation for all customers, as they will be able to legally obtain cultural content with a real choice either of the provider and the player, hardware or software. The fight is not over, now the 30 most vending French artist and their syndicates and editors are against this P2P legalisation, while a group of 13500 French artists agreed. The petition at EUCD.INFO is still being filled in (with now more than 130.000 signatures), and finally the debate has gone public. Stay tuned for more news. A good compromise and modern legislation is now a realistic option. The French government is about to pass a bill known as the DADVSI (Droits d'Auteur et Droits Voisins dans la Société de l'Information n°1206) prohibiting everything that could be considered as a tool or a solution to bypassing protections or read copyrighted formats. VSO Products may be banished as well as P2P clients, instant messaging, emails, internet servers using GNU licensing, and free software including the most popular media players. Today, French citizens may no longer be able to make a safe backup of their purchased CDs, Movies, Games, etc. or use a software/hardware reader of their choice. Tomorrow, other countries may use this law as a model. Invasion of your privacy is also in this law... all the French ISPs will be forced to install a global filter system to prevent any P2P activity and check all email attachments. This will be by far the most restrictive copyright law ever in the world, turning legal users into criminals by the millions. Please join VSO Software defending your rights to a choice , take a minute to sign the petition. We have updated all products with a new driver (version 35). It fixes some crashes that a small number of user was experiencing. If you were affected, be sure to download the latest version! A new version of DivxToDVD is available, this version is faster and multithreaded. You can now increase the priority to speed up the conversion or decrease it if you want to work normally during the encoding. This version uses the new VSO logo, you can find the full list of changes here. New versions of our products (CopyToDVD, BlindWrite, PhotoDVD, DivxToDVD) are available. The main changes are a new version of our driver (Patin Couffin 33) and burning engine improvements. You can check the change logs at our download section. A new version of DivxToDVD is available, with a new update of the burning sdk and several fixes. Now, the good news : the automatic menu creation asked by users is currently under development and should be available soon. Holidays are over, back to work, you can find an update of CopyToDVD in the download section. New version of PhotoDVD and DivxToDVD should be shortly available. Since a while we are providing a CopyToDVD 3.0.56 in the download section but we didn't update the web site, a customer just complained and despite there is few change, you can see the web site updated now. Thanks Stephen for his email. PhotoDVD 2.0.9 fixes a serious issue for NTSC users, please download the latest version. A release candidate version of DivxToDVD 2 is available for immediate download. PhotoDVD 2.0.8 is available, the list of changes is available at this page. We would like to remind users of PhotoDVD that the upgrade to version 2.0 is completely free for registered users of PhotoDVD 1.x . This version adds a new view mode making it even easier to sort and give order to your pictures. Yes another update of PhotoDVD, the list of changes is available at this page. We would like to remind users of PhotoDVD that the upgrade to version 2.0 is completely free for registered users of PhotoDVD 1.x . This version adds a new view mode making it even easier to sort and give order to your pictures. A few words about DivxToDVD "pro", it progresses and we hope to enter beta testing in a couple of weeks, we can already announce it will be a little bit faster and we will post screenshots as soon as possible. We are happy to announce the version 2.0 of PhotoDVD. The complete press release can be found below. This version introduces DVD subtitles and multiple audio tracks but contains also all the improvements done in the previous version. This update is FREE of charge for existing users. You can also find a complete review here kindly provided by Burnworld. PhotoDVD is available in the download section.